This brand new, revised and expanded edition is aimed at all candidates planning to sit European institution competitions and who wish to prepare as effectively as possible for the verbal reasoning test. - the ability to read a text selectively. 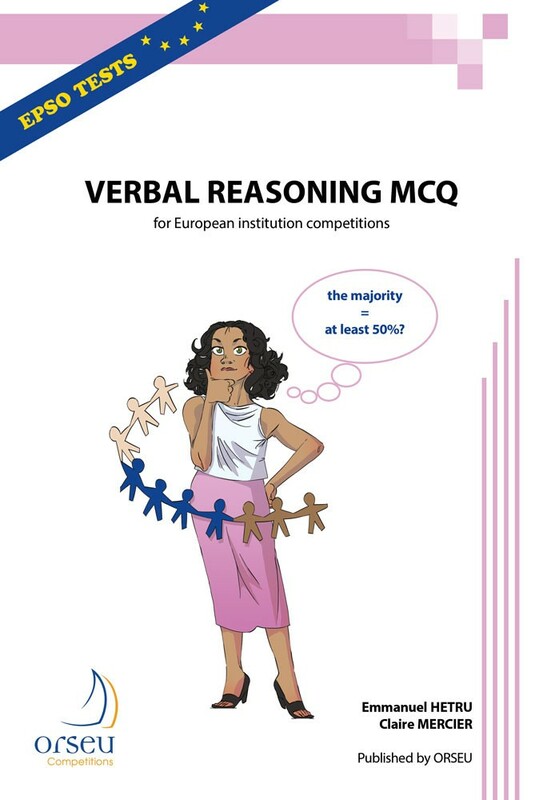 This brand new, revised and expanded edition is aimed at all candidates planning to sit European institution competitions and who wish to prepare as effectively as possible for the verbal reasoning test. The verbal reasoning test is not a test of knowledge but of logic. To be successful, candidates must display four key qualities: - the ability to analyse a statement and understand the meaning of a text; - a mastery of certain rules of verbal logic in order to establish whether or not an answer can be deduced from the information in the text; - the ability to identify quickly which statements are most likely to constitute the correct answer; - the ability to read a text selectively. Entry competitions for European institutions are highly selective. Success in the verbal reasoning test is, above all, a matter of method and training. This book can significantly increase your chance of success. It contains: - a detailed methodology illustrated with numerous examples; - 10 tests of 10 questions each; - a detailed explanation of the answer to each question. The questions in this book are similar to those that have been set in the competitions run by EPSO. They are different to those in previous editions and from our online test questions.